The PartnerTech VEGA Series has been discontinued. No direct replacement is available. The PartnerTech VEGA Series handheld barcode scanner series, with an extensive range of models, represents the new style in handheld barcode scanning. 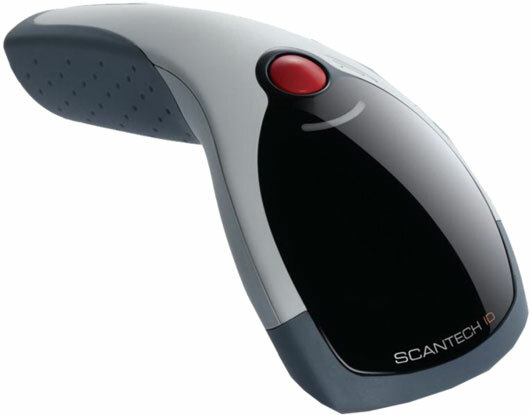 It is a modern and ergonomically designed scanner which offers an outstanding reading performance. The VEGA Series scanners are available with a number of interfaces, which offers a wide range of possibilities and solutions for every Point of Sale environment. The stand or cradle (for wireless models), interface cable and power supply are included as standard, so the scanner is ready to use straight out of the box. USB/Keyboard wedge/Serial Bluetooth Kit. Includes 2D area imager, cable, power supply and Bluetooth cradle. Bluetooth 2D area imager only. Bluetooth cradle, cables & power supply not included. See accessories. USB/Keyboard wedge/Serial Kit. Includes 2D area imager, cable, power supply and stand. USB/Keyboard wedge/Serial Kit. Includes 1D linear imager, cable, power supply and stand. 1D linear imager only, cables & power supply not included. See accessories. USB/Keyboard wedge/Serial Bluetooth Kit. Includes 1D linear imager, cable, power supply and Bluetooth cradle. Bluetooth 1D linear imager only. Bluetooth cradle, cables & power supply not included. See accessories. Serial Bluetooth kit. Includes 1D linear imager, RS-232 cable, power supply and Bluetooth cradle. USB Bluetooth kit. Includes 1D linear imager, USB cable, power supply and Bluetooth cradle. Keyboard wedge Bluetooth kit. Includes 1D linear imager, PS/2 cable, power supply and Bluetooth cradle. USB virtual COM kit. Includes 1D linear imager, USB cable, power supply and stand. Serial kit. Includes 1D linear imager, RS-232 cable, power supply and stand. USB kit. Includes 1D linear imager, USB cable, power supply and stand. Keyboard wedge kit. Includes 1D linear imager, PS/2 cable, power supply and stand.